Voting in the Flashy Sir (for the year's top router) was much closer with three distance aces in tight contention. In the end, it was Jacobs Racing Kennel's Highlyclassified edging out Naples' Sprite Drive, and multi-distance star B's Headliner (Naples and Southland) was a close third. 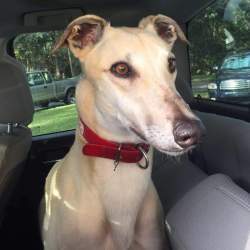 Racing for the John Farmer Kennel, Highlyclassified won the $75,000 Holiday Distance Challenge at Derby Lane late in the year, having finished second in the Derby Lane Distance Classic and third in the St. Petersburg Derby in the earlier season at Derby Lane. The son of Kiowa Mon Manny-Cantrell posted an 18-16-12-9 record in 60 starts (55 out of 60 on the paysheet) in 2015, and twice came close to breaking the 3/8 record at St. Pete, which was set in 2006. With the meet's three fastest times, Highlyclassified was described late in the year by Review writer Don Jensen as "the fastest 660-yard athlete that Derby Lane patrons have seen in the past nine years." 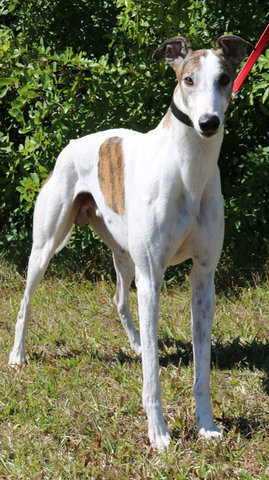 For the second year in a row, a pair of Derby Lane-based greyhounds have picked up both NGA Awards-Husker Magic winning the 45thAnnual NGA Rural Rube Award as the nation's top sprinter for 2015, and Highlyclassified capturing the Flashy Sir Award as the best router of the year. Both recipients are also members of the 2015 All-America team. Husker Magic's triumph marks the 10th time since 2000 that the Rural Rube Award winner hails from the St. Petersburg track. It's also the seventh straight year that the Rural Rube Award winner is also captain of the AGTOA All-America team. Owned by Imark Kennels LLC and racing for the Jim Abernathy Kennel, Husker Magic was the easy winner of the NGA honor, voted upon by NGA members and Greyhound Review subscribers. The veteran (April 2012) daughter of Rhythmless-Casino Zada had a stellar year in 2015, commencing with her victory in January at the Daytona 550 BetAmerica National Championship. She returned home to Derby Lane in time to capture the $64,000 Sprint Classic and the track win title with a 23-7-0 mark in 32 starts. She racked up 18 more wins in 25 starts at the Derby Lane fall meet, giving her 41 wins for the year-enough to snag the North American win title. She enjoyed win streaks of 8 and 11 straight, while running her career win total to 95 by year's end. 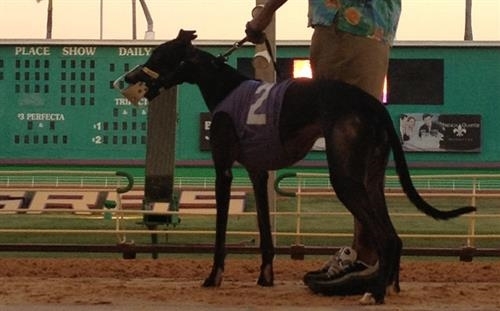 The latest drama involving Derby Lane's "Blonde Bombshell" has been twofold-whether she'd win the Rural Rube, as most expected; and if or when she'd break into the 100-win club. With Husker Magic sidelined with an injury, her career win total is currently stalled at 98. "Woohoo!" was the first reaction from Terry Haber, representing Imark Kennels, upon hearing the news of Husker Magic winning the award. "That's exciting! I wish I had about 10 more just like her. She's only the second All-American I've ever had (Magic Gangster was the other, in 1995). "We're going to give her one final hurrah, one more chance to get to 100 career wins before she retires and comes back here to Arkansas for her next career." Haber's excited about an upcoming litter out of Bella Infrared and Magic's mom, Casino Zada, who was the champion Brood Matron of 2014, thanks to Husker Magic and her littermates. 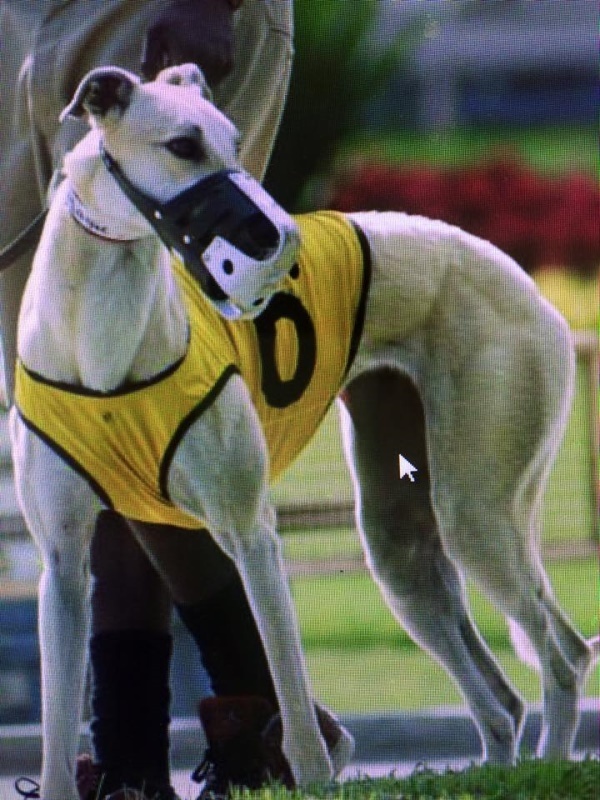 Runner-up in the Rural Rube voting was Sharon L. Williams' Need My Moneynow, who raced all last year at GulfGreyhoundPark and who is now at OrangePark. The son of No More Loving-Need A Date did everything asked of him in 2015 at Gulf-win the $10,000 Diane Whiteley Sprint Memorial (sweeping all rounds), break the track record, grab the track win title with a 39-6-4 mark in 49 starts, had win streaks of 8, 9 and 14 races during the season, and finish third in the North American win race with those 39 wins (just two behind Husker Magic). Interestingly, the two top vote getters in the Rural Rube ran 1-2 in the latest version of the Daytona 550 National Championship in January-only it was Need My Moneynow nabbing the win, with Magic, as the defending champ a close second. Others high in the voting for the Rural Rube were Ann Occhino's Red Utopian, of the Oxbow Trow Kennel, top sprint campaigner at Flagler and Naples; Vince Berland's Flying Fired Up, of the Lester Raines Kennel, win champ and multi-stake winner at Southland; and Steve Schlachter's Storm Control, of the B & B Kennel, multi-stake winner at Palm Beach.